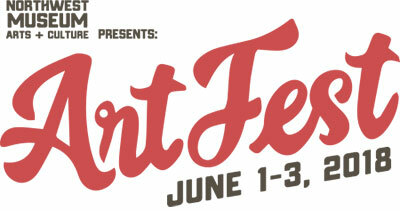 This Friday through Sunday, June 1-3, the Northwest Museum of Arts & Culture presents its 33rd annual ArtFest, an Inland Northwest tradition for the entire family. This outdoor festival of art, music, and food is also the unofficial beginning of summer. With historic Browne's Addition as the back drop, you'll see 150 juried art vendors presenting paintings, sculptures, photography, ceramics, jewelry and more. Kids can create their own art in the Make it Art Kids Fair. Enjoy a weekend of Northwest bands playing an eclectic mix of jazz, rock, country, reggae, funk, and folk music. And sample fare from some of the city's favorite food trucks and vendors. The Beer Garden will be serving No-Li Brewhouse 'Spokane Style Beer' and Townshend Wines. Spokane String Quartet performs works by Schubert and Beethoven, this Sunday, June 3 at the Martin Woldson Theater at the Fox. Showtime is 3pm. Tickets available the Box office or at www.ticketswest.com or 800-325-SEAT. Volume, the Inlander's annual music festival, is back with 80 acts in nine venues across downtown Spokane this Friday & Saturday, June 1-2. This year's lineup features local favorites (like Super Sparkle and Marshall McLean), red-hot acts (including Ryan Caraveo, BRONCHO and Wild Ones) and icons of Northwest music (including The Helio Sequence). Volume is an annual showcase of up-and-coming local and regional acts. Passes are on sale now at volume.inlander.com for $25 until midnight on Thursday, May 31 and will be available at all venues for $35 two-day and $20 for one-day passes. Festival passes get you into all nine participating venues. The website also has a full schedule, band bios and music clips, the event map and more. Celtic Woman comes to Northern Quest for two shows, Wednesday, May 30 and Thursday, May 31. Comprised of four young Irish women, this musical ensemble celebrate Ireland's rich musical and cultural heritage with a repertoire of Irish classics, contemporary songs and stirring originals. This Thursday, May 31 enjoy the music of Kari Marguerite as she performs her blend of soul, pop and jazz at the Tasting Room Stage from 5:30-7:30. Admission is $5. And this Sunday, June 3, Cattywomp will perform at the Cliff House stage. Their music has been described as vintage rock with a modern funk edge. Music runs from 5:30-8pm. Admission is $10. Food, wine and beer available for purchase. Visit arborcrest.com for more information. Spokane Symphony Associates presents the 10th Annual 'Upscale Sale' this Friday through Sunday, June 1-3. Location is at 2512 E. 29th Ave. (Hastings Bldg.) Admission is free this weekend, and there is a $5 admission to the Preview Sale, which is this Thursday, May 31. 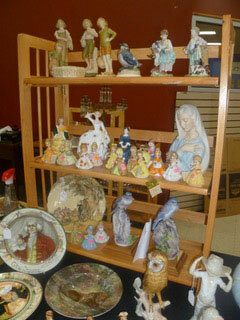 Donors have generously given hundreds of beautiful items for this sale. The sale includes massive costume jewelry, household décor, furniture, fine china , antique and new table linens, and designer and/or vintage clothing, and much more. This sale happens only once a year and proceeds benefit the Spokane Symphony Orchestra. Hours are Friday & Saturday, 8am-5pm and Sunday 10am-5pm. You can view more images on their Facebook page, Upscale Sale Spokane. Back by popular demand, Downtown Spokane is shutting down Wall Street on Fridays in June, July, August and September to bring back Food Truck Fridays. Starting this Friday, June 1, Wall Street will close from 11:30am to 1:30pm weekly to host 4-6 members of the Greater Spokane Food Truck Association. This year with a wider variety of trucks, downtown workers, residents and visitors are invited to a break from the day for great food, entertainment and company. Appearances by: Brain Freeze Creamery, Compass Breakfast Wagon, Couple of Chefs, Crate, D. Lish's, King of Tacos, Mac Daddy's, Mangia and more. For a weekly schedule of trucks visit greaterspokanefoodtrucks.com/events/.